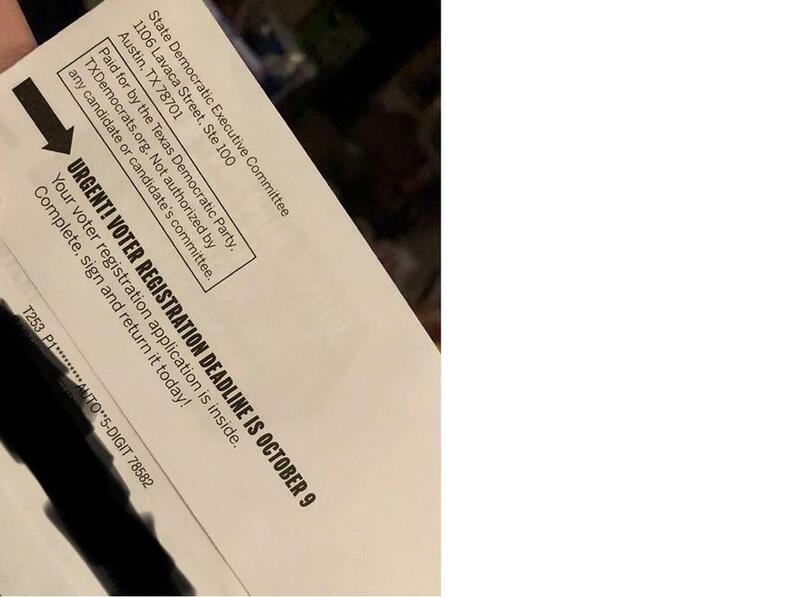 The Texas Democratic Party has been sending pre-filled applications to non-citizens with the citizen box marked "yes," according to new complaints filed Thursday by the Public Interest Legal Foundation. The organization notified district attorneys and the Department of Justice, and included a signed affidavit from a man who claims that several relatives who are not citizens received the mailing, according to the Washington Times. "This is how the Texas Democratic Party is inviting foreign influence in an election in a federal election cycle," said PILF spokesman, Logan Churchwell. The Texas secretary of state's office confirmed that it too had received complaints from immigrants and the relatives of dead people who said they were sent the registration mailings. "If true there will be serious consequences," said Texas governor Greg Abbott, a Republican. Letter from PILF to the Hidalgo County DA, and a signed affidavit from David C. Kifuri, a former employee of the 229th Judicial District Attorney.